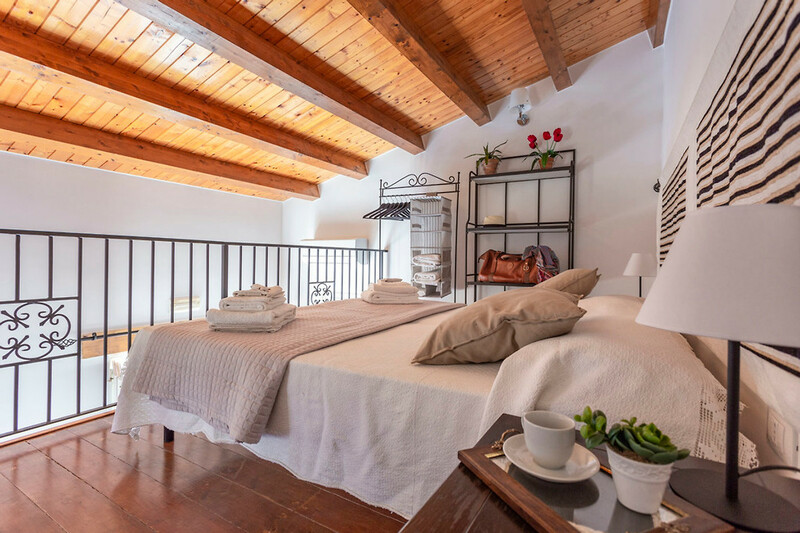 Beautiful apartment with private terrace in a great location, a few steps away from piazza Duomo, the beach, the museum, Aretusa Fountain, and a lot of interesting places! 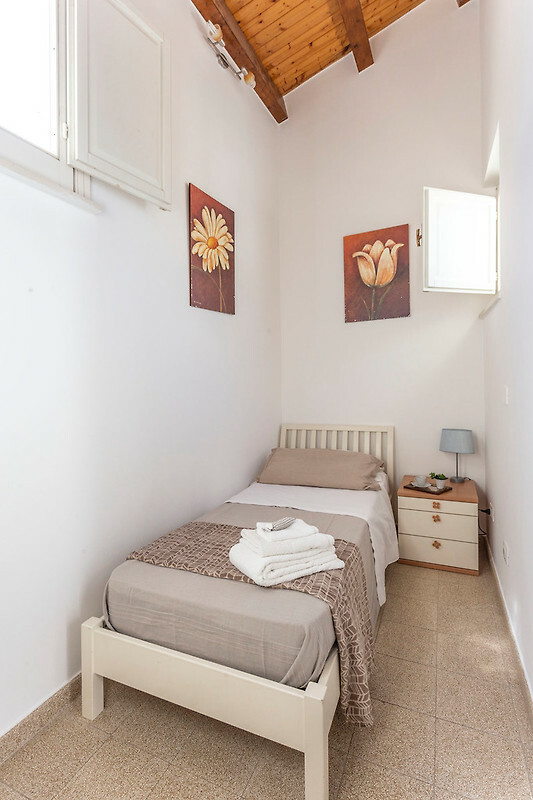 This two bedroom apartment is centrally located in Ortigia, a few steps away from piazza Duomo and from the seafront (50 meters approx). 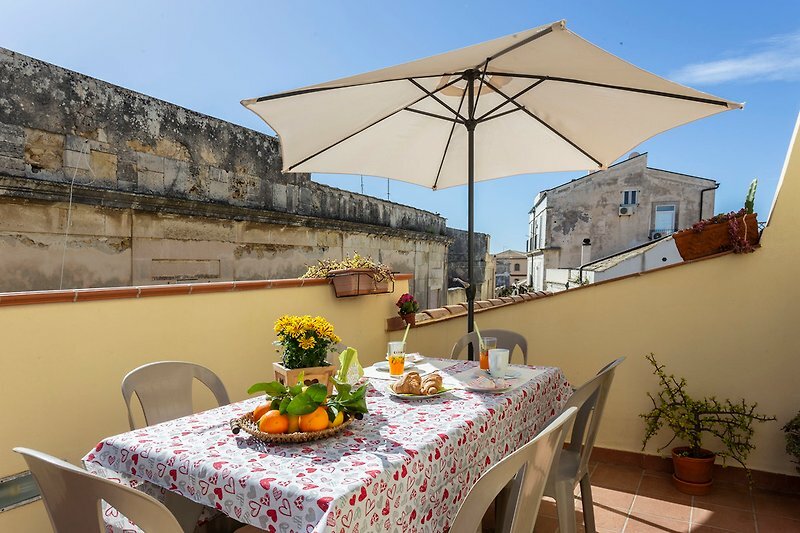 The apartment Prestige is a character apartment in an ancient palace (18th century) completely renovated and with elevator (very uncommon in Ortigia!). 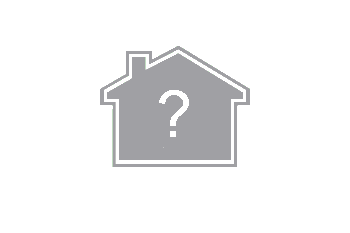 It is composed of a kitchen/living room, a single bedroom, a bathroom with shower, a mezzanine with double bedroom + bathroom. 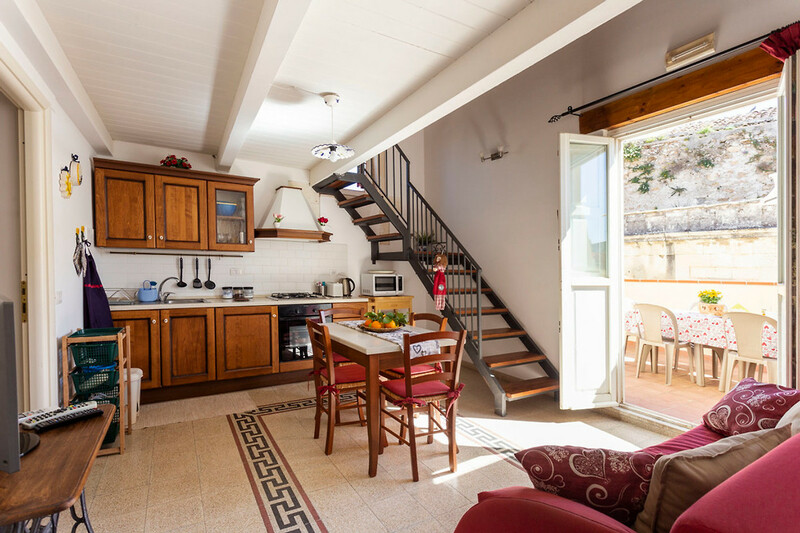 It has also a lovely terrace with direct access from the living room where you can have lunch and al fresco dinner. 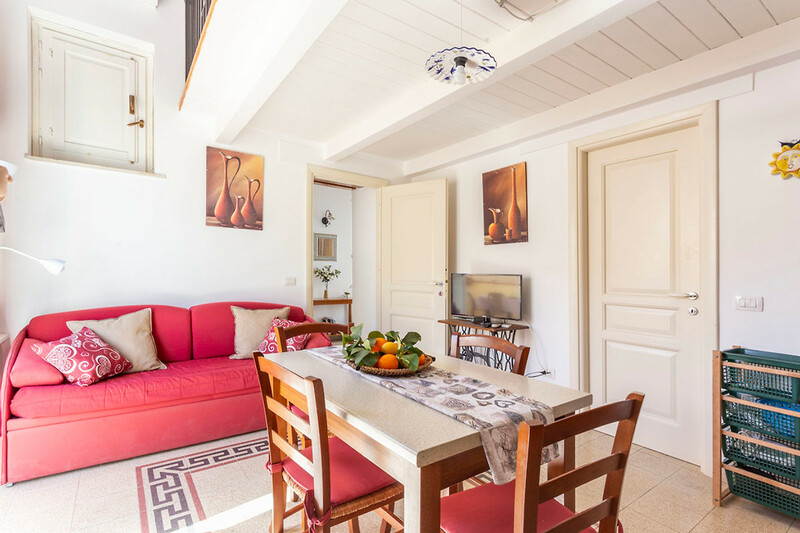 It is a fully equipped apartment with air conditioning/heating, WiFi connection, satellite TV, radio/CD player, microwave, electric oven, hair dryer, iron, ironing board, etc. Laundry facilities are available in the building too. 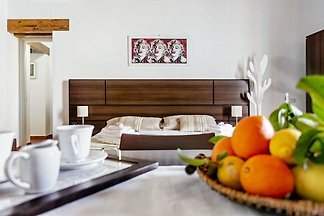 This apartment is very comfortable for 3 people but it can accommodate up to 5 people using the twin bed sofa (very comfortable) located in the living room/kitchen. Everything you need is a few steps away. Restaurants, pubs, café, markets, shops are all reachable on foot. You do not need the car for exploring Ortigia. A payment parking (12 euros per day) is available 300m away. If you are interested we can help you in booking it. It is a small parking so it has to be reserved in advance. Just around the corner are several restaurants, cafe, pizzerie. 50m away there is the a small beach with clean water and 200m away there is another access to the sea. Syracuse has a warm weather and you can go to swim until late October. 50m away there is the bus stop. 100m away there is the lungomare alfeo with restaurants along the sea that makes good fish and sicilian dishes. Still, all the main touristic places are reachable in a few minute on foot. Piazza Duomo (with the wonderful baroque cathedral) and Aretusa Fountain are 200m away. Castello Maniace is 100m away.